Congrats to my girl Laurie on her "#" win from Life Styled! The giveaway was in honor of Blogger Book Club's September/October read, #GIRLBOSS. Laurie's 'Behind the Scenes' interview just happens to my September's feature. Go Laurie! Discussion to take place on October 31st. The abundance of blackberries available in late summer and early autumn inspired me several years ago to make blackberry cordial. Now it's become an annual event. This infused liquor requires only three ingredients and three months of patience. Combine 1 cup of sugar with 2 cups of blackberries, then fill the rest of a mason jar with vodka. Shake the jar several times a week to dissolve the sugar and store in the pantry. Then in three months strain the seeds. Et voila! Come December it will be ready to be consumed and gifted. September's installment of 'Behind the Scenes' highlights one of my favorite ladies, Laurie, a graphic designer at Dum Blondey Designs based in LA. Laurie and I met in London, of all places, two summers ago. We bonded over a harrowing experience with our other besties (Sara and Marisa) on the Metro in Paris (ooh la la). Admires Strong independent women, Gwen Stefani is my girl! Guilty Pleasures watching really bad Lifetime movies. Simply Fabulous! In addition to being at the helm of her own design company, Laurie is also a head maven over at Newport Cottages. Their Beverly line of furniture is TDF, so posh. As if I need an excuse for a trip to the warmer climes. Hello Kitty in person, workshops, and the MOCA? 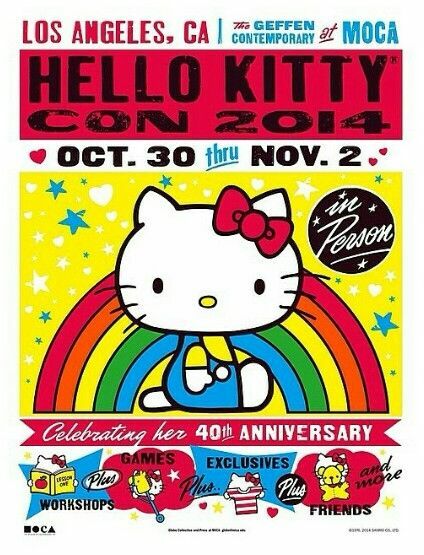 Count me in for the Hello Kitty Convention in LA in honor of her 40th Anniversary.